It has been almost a week since Aurora Cannabis (NYSE:ACB) started trading on the NYSE. As one of Canada’s largest cannabis companies, ACB stock, like most of the big players in the space, has seen a significant correction in October. ACB itself is down 26% in October through Oct. 26, and 43% from its Oct. 16 all-time high, hit the day before marijuana became legal in Canada. Investors of all stripes are left wondering if the easy money leading up to legalization has been made and now it’s a case of wait-and-see. In some ways, the questions investors have about companies like Aurora, who aren’t profitable and generate small top-line revenues, are very similar to those asked about dot.com companies in 2000, just before the implosion. I’m not suggesting that the same thing is going to happen with cannabis stocks, but if this past weekend is any indication, it’s at least a real possibility. Nine months ago, I moved from Toronto, Canada’s financial capital, to Halifax, a smaller city on the Atlantic ocean. I returned to Toronto this past weekend for my first visit back. On two separate occasions, I was asked about cannabis stocks and whether I thought they were going to continue to correct or even crash. My answer was simple: I can’t say what will happen, but what I do know is that long-term, stock prices always follow earnings. Yes, you can have periods like 1999-2000, when earnings become unimportant, replaced by valuation metrics like price-to-sales, etc., but it never lasts. If you own ACB stock or are considering buying it, whether it wins or loses is going to be because of its profits or losses. What’s Aurora’s Runway to Profits? Canadian debt-rating agency DBRS came out with an initial report on Oct. 22 about the Canadian cannabis sector. 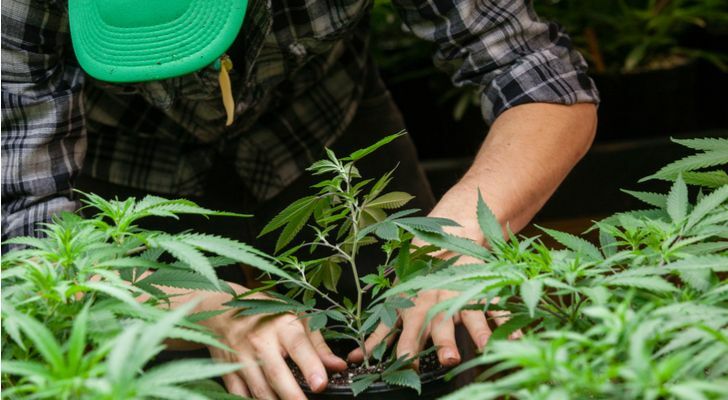 While very general in nature because of the lack of debt in the nascent industry, it highlighted both the opportunity and current risks associated with the cannabis industry. “At the outset, DBRS believes that largest LPs in the cannabis sector exhibit characteristics consistent with the low, non-investment-grade range of the credit ratings spectrum — in the B range,” stated DBRS’ press release. The ratings agency goes on to suggest that although the credit risk profile of the entire industry could improve as more information becomes available about the size and scope of it, it’s likely that a lot of licensed producers will fail. At the moment, Aurora Cannabis has annual revenues of CAD$55.2 million, an operating loss of CAD$95.8 million, cash and marketable securities of CAD$149.4 million, CAD$9.2 million in long-term debt, and CAD$191.5 million in unsecured convertible notes with a 5% interest rate and a conversion price of CAD$13.05. It also has a CAD$150 million term loan that it got through the Bank of Montreal (NYSE:BMO) in August after the close of its fourth quarter, along with a CAD$50 million credit facility that can be upped to CAD$250 million if it meets certain conditions. Factor that all in and Aurora currently has net debt of CAD$51 million. That’s likely to increase as it takes on more debt to finance its operations around the world, as are its operating losses. With much still up in the air about when and if it will generate a profit, the best way to invest in cannabis, in my opinion, is to either buy a Marijuana ETF or invest in someone like Constellation Brands (NYSE:STZ) who already has a profitable business in addition to its investment in Canopy Growth (NYSE:CGC). Also, with the markets as volatile as they are at the moment, it makes no sense for anyone except the savviest and most experienced of investors to be dabbling in cannabis stocks. Names like Aurora might be the big winners five years from now but not without going through a lot of pain. Article printed from InvestorPlace Media, https://investorplace.com/2018/10/aurora-cannabis-stock-acb-not-faint-of-heart/.